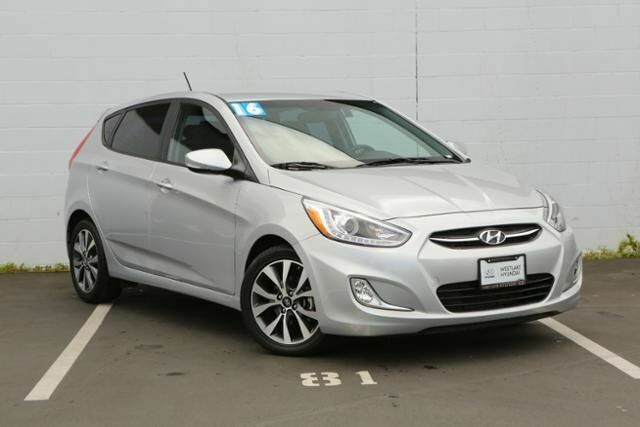 Westlake Hyundai is proud to present this Hyundai Accent in Silver Metallic and black. CARFAX One-Owner. Odometer is 11949 miles below market average! 26/37 City/Highway MPG Certified. Silver Metallic 2016 Hyundai Accent Sport FWD 6-Speed Automatic with Shiftronic 1.6L I4 DGI DOHC 16V black Cloth.